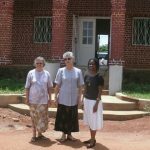 In 1993, on September 30, the Sisters of Notre Dame of the Holy Cross Province, Passo Fundo, arrived in Mozambique at the request of Rev. Francisco João Silota, Bishop of the Diocese of Chimoio. 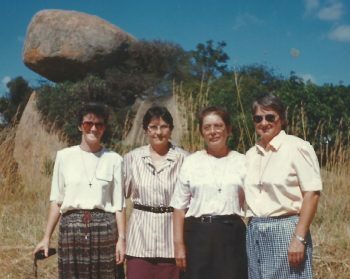 From left to right, the pioneers were Sisters M. Dirce Slaviero, M. Licelda Giacomolli, M. Nilse Catarina Eidt and Loiva M. Urban. 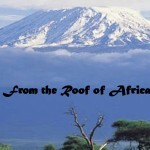 October 1st, the date on which the sisters began their ministry in Marera, is considered the Foundation Day. On their first day in Mozambique, the Sisters participated in a March for Peace – a demonstration to celebrate the 1st Anniversary of the peace agreement signed between the country’s two main political parties: FRELIMO (Mozambique Liberation Front) and RENAMO (Mozambican National Resistance). 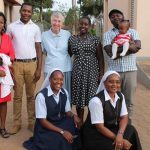 As part of their ministry, the Sisters proclaimed Jesus Christ by accompanying groups in faith formation, beginning socio-pastoral and development programs and building community schools. The sisters also grew plants and shared their knowledge of the use of alternative medicine as well as taught the concepts of basic hygiene, dug latrines for each family in the area, taught the best use of food available in the area and demonstrated how to make bread. In 2000, the sisters assumed responsibility for the female boarding school in Jécua. 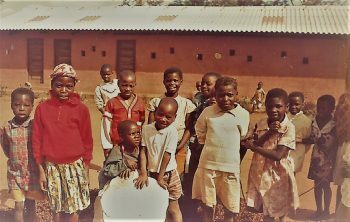 In 2001, the Formation House in Chimoio was established. 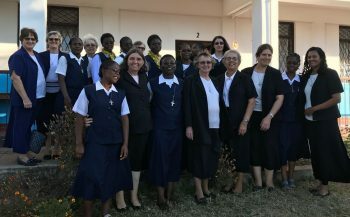 Several young women who felt called to follow Jesus and serve the Church according to the charism and mission of the Sisters of Notre Dame, joined the Congregation and are now part of the mission’s 25 year history. Currently, there are one final professed Sister, nine Juniors, three Novices and four young women who will become Postulants later this year. 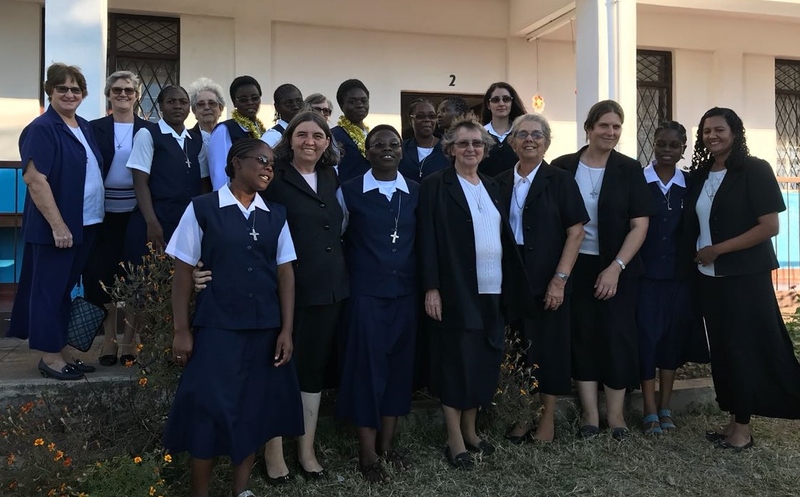 Attentive to the signs of the times and in response to the local needs, the sisters started an informal education program for the many children in the neighborhood of the Bairro Sete de Abril, in Chimoio. 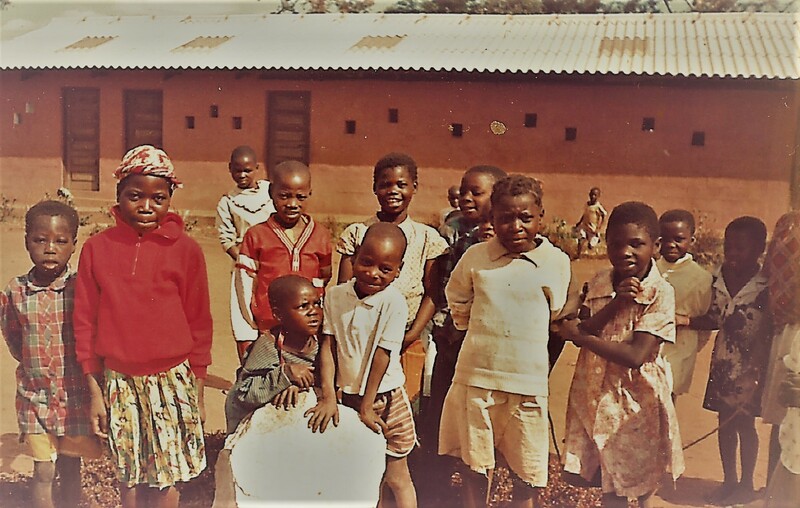 This seed flourished and, in 2010, became the Notre Dame School Mwana Une Rukariro, which has a current enrollment of 635 students in Kindergarten to sixth grade.